TC's Blinds & Tile Services understands the caulking is more than a touch up material to make trim work look nice. It plays an essential part in managing your heating/cooling cost by preventing leaks from the interior to the exterior of your home. TC's Blinds & Tile Services has been providing caulking services for 20 years, to assist homeowners in keeping their house feeling more comfortable, while holding down utility costs. Experience – Since 1999, TC's Blinds & Tile Services professionals have offered caulking services that fill in the cracks and gaps that begin to appear in your walls. They can shore up leaky areas at the locations of your house were two different materials come together, such as the exterior wall and your windows, or doors. They can also provide scheduled maintenance for your home, replacing your caulking every couple of years. They ensure that the job is done correctly, to last for many years. Affordable – TC's Blinds & Tile Services works hard to ensure their caulking work is reasonably priced. Call TC's Blinds & Tile Services at (817) 381-0061, to receive your free quote, and find out how affordable it is to protect and beautify your home. For 20 years, TC's Blinds & Tile Services has offered a full satisfaction guarantee to their customers. 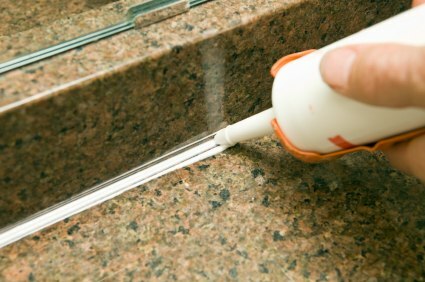 Got black dots in your bathroom caulk? That's mildew. Bleach can sometimes remove those dots, but not always. That's when its time for new caulk. Call TC's Blinds & Tile Services at (817) 381-0061 for a quick free quote of replacing the caulk around your tub or shower.